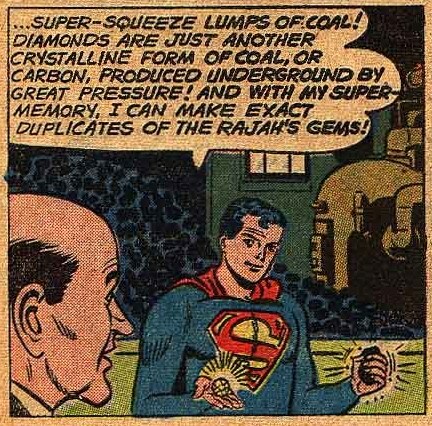 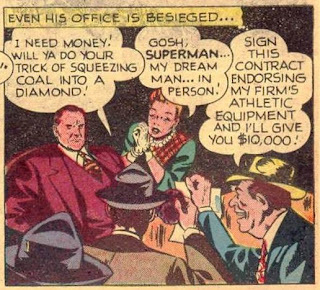 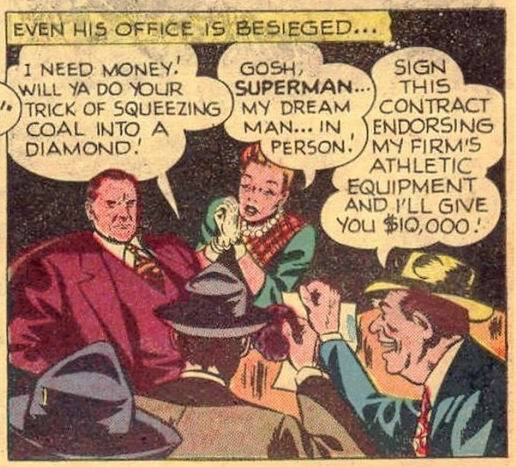 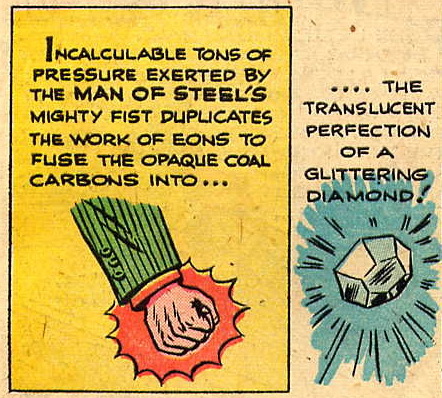 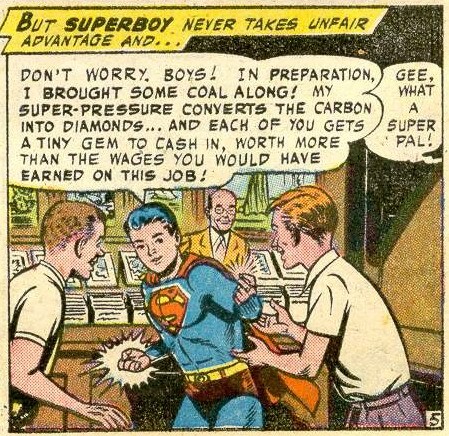 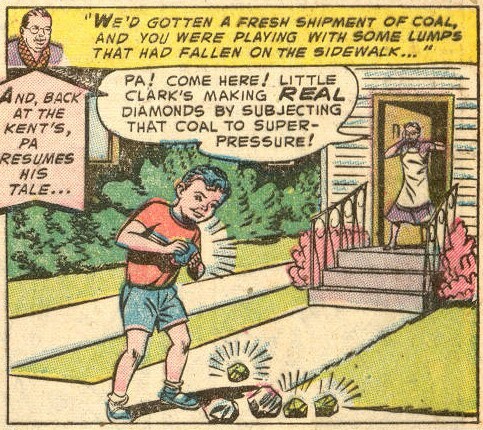 Superboy/Superman creating diamonds out of coal is one of my favorite things to see. 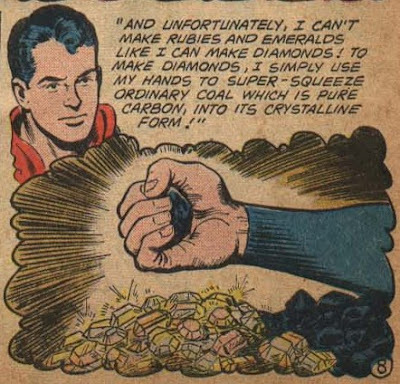 While all his powers are impressive the idea of turning a lump of coal into a diamond was something I could really imagine and "see" as a little kid. Great stuff. 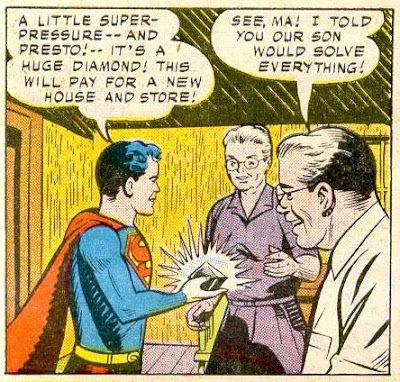 I'd love to know if Adventure #231 is the first time in comics for sure.